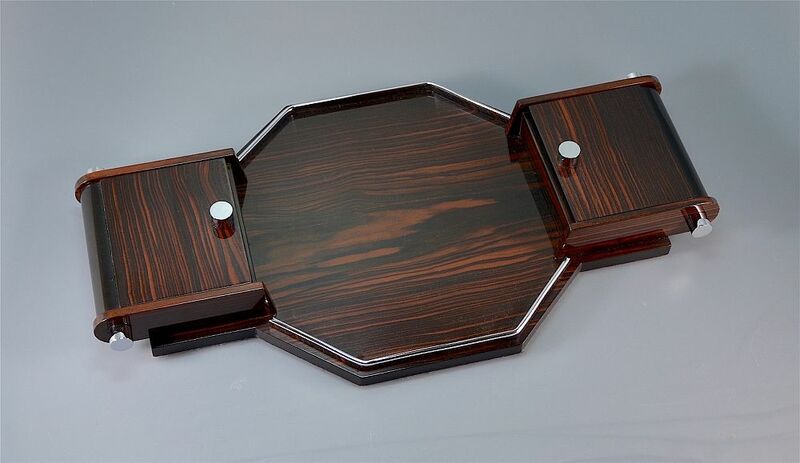 This fantastic cocktail tray was made doing the 1930s in France and probably designed by Louis Prodhon. 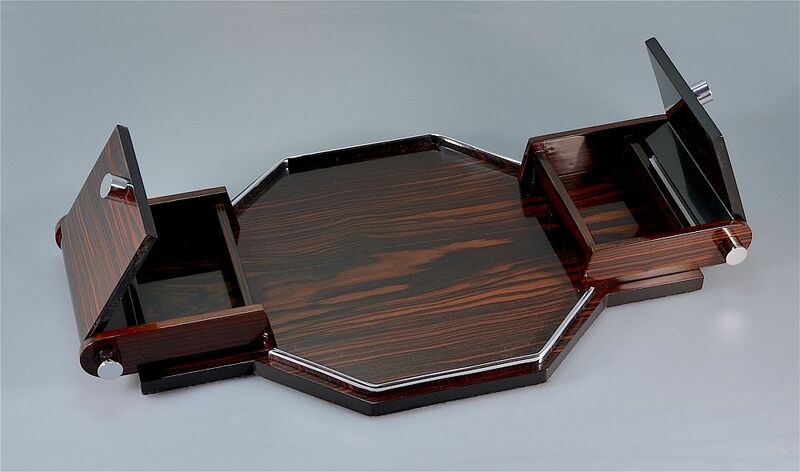 Made of macassar ebony with black edging the octagonal centre has a low chrome edging. 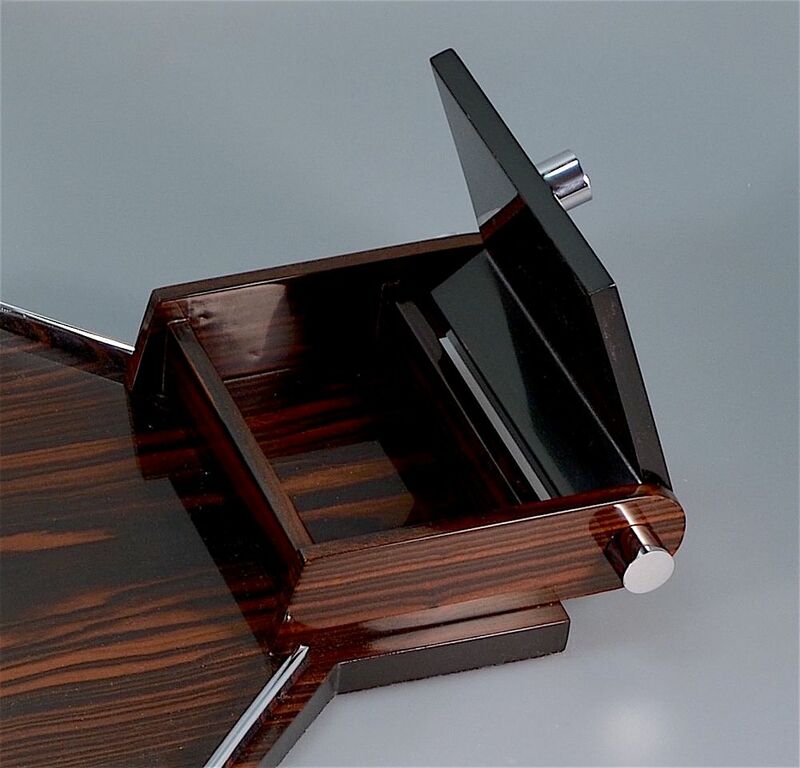 The tray extends at each side to include two hinged lidded boxes with cylindrical chrome ends and finials. The hinge end of the box is rounded to accommodate what is probably a rod hinge. 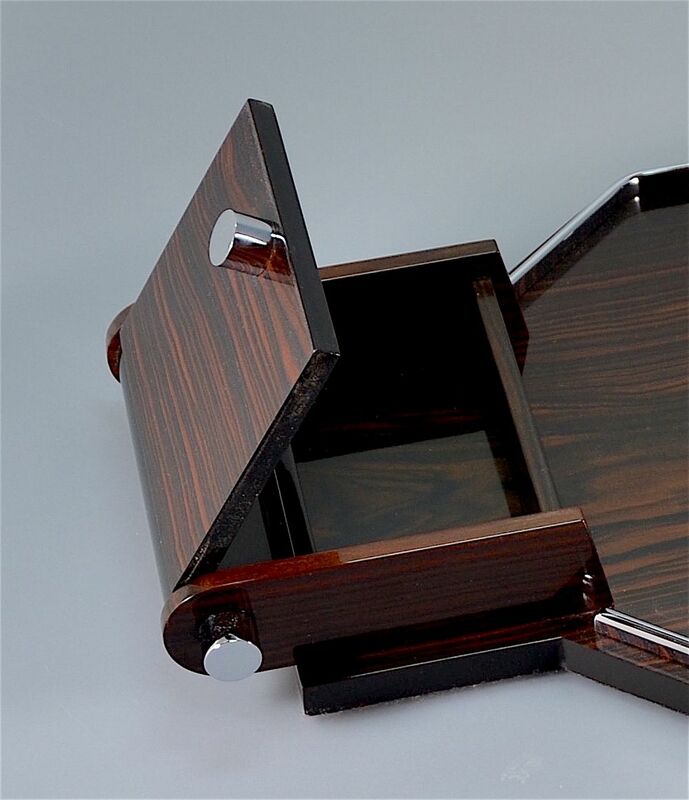 The inside of the boxes have been lined with macassar ebony veneer. Fabulous quality and would look wonderful with a cocktail shaker, ice bucket or liqueur set standing in the centre.